Implement Bluetooth into your Robotics and Programming Studies. Programming is a necessary 21st-century skill, one that Cubelets® robot blocks teaches as you play. Connecting one of these Bluetooth® blocks to any robot allows the builder to control the robot remotely through the Cubelets app. 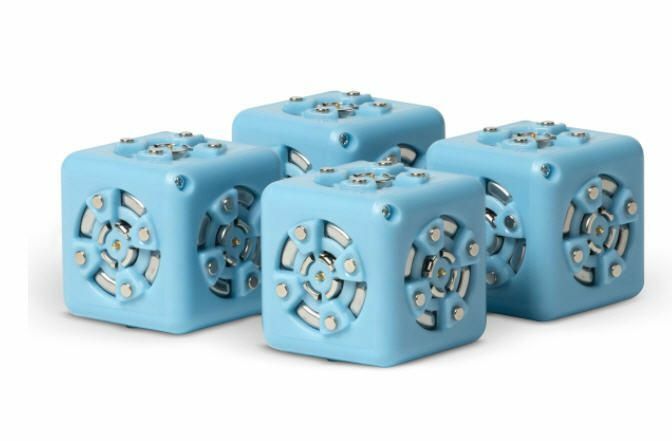 Bluetooth® blocks also open up a whole new world of coding possibilities using Cubelets Blockly, a visual and easy-to-use programming language, or Cubelets Flash, a more powerful programming tool.